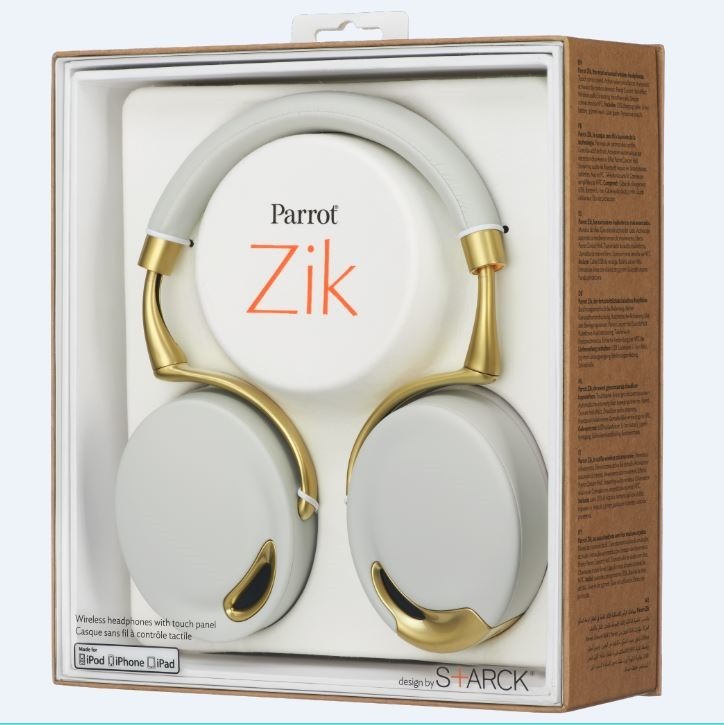 Parrot, mostly known for their AR.Drone and car accessories have teamed up with designer Philippe Starck, with the result being the striking Zik. 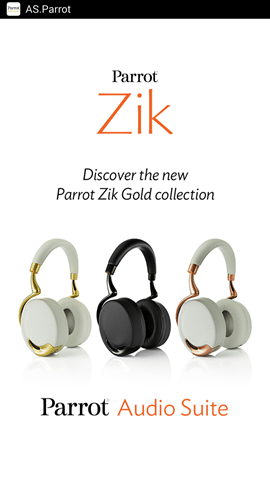 Despite the very competitive and crowded headphone market, the Zik is strangely one of a handful of headphones that can either be used as a wired or wireless headphone. If belonging to this very rare breed of headphones wasn’t enough, the Zik is perhaps the most feature-laden headphone we’ve ever seen. 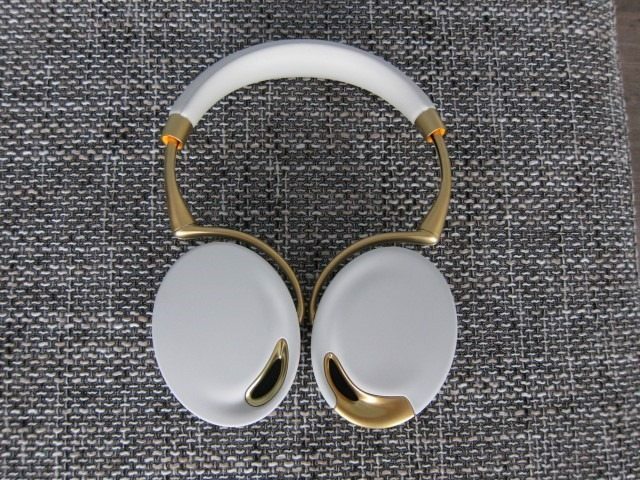 Not only can it be used as a Bluetooth headphone, but active noise cancelation, interchangeable battery, touch controls, NFC and 4 built-in microphones are among the many features of the Zik. 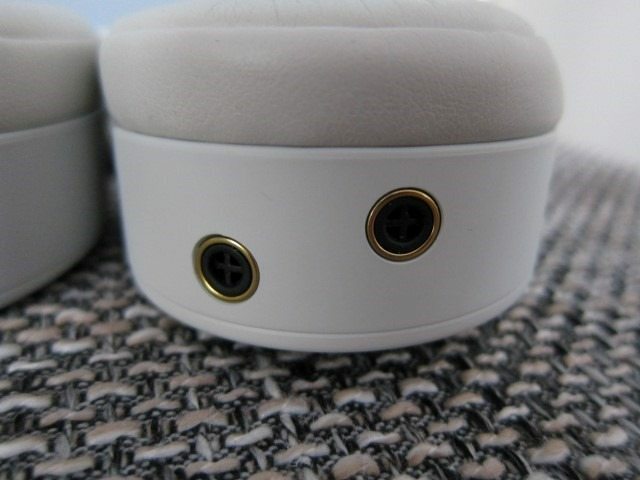 It can be used as wired headset and even sports some exotic features like a jawbone conductor sensor that can detect when you’re talking to optimize the sound of your voice and a motion-sensor to detect when you’ve removed the headset and will automatically pause the music. And if that isn’t exotic enough, this thing even has an app, allowing you to program and fine-tune just about everything. 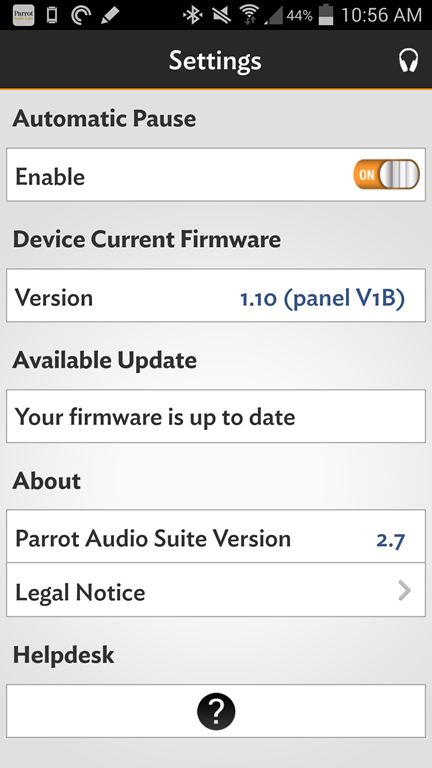 And get this, the app even does over-the-air firmware upgrades. When was the last time you upgraded your headphone’s firmware? 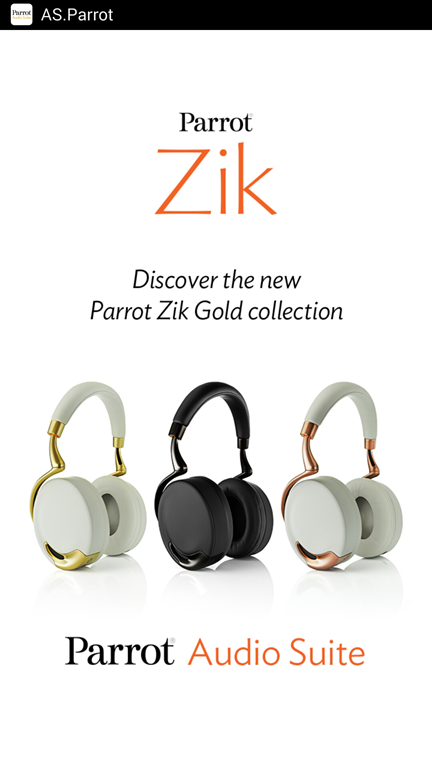 The Zik is available in the “Classic” Black and Silver version, but Parrot has added their “Gold Collection” which basically takes the same design and features and adds 3 new color combinations: Yellow Gold, Rose Gold and Black Gold. 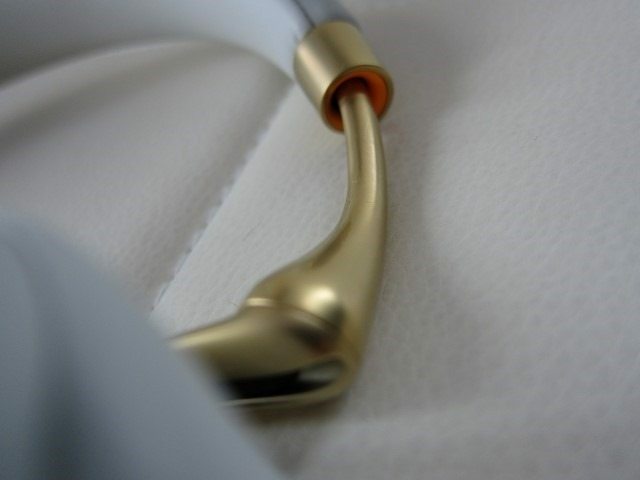 The first two appear to be White in product shots, but in reality are more of a Grayish-White with either Gold or Rose Gold accents, while the Black Gold is basically an all-Black version. With a suggested retail price of $399 with online prices hovering around $350 the Zik isn’t for everyone. But despite its steep price tag, it’s of one those rare gadgets in this price range that due to its sheer amount of features, design and audio performance, we consider it a bargain. Simply put the Zik’s design is striking. Elegant, modern, yet simple and timeless. It could easily be placed in any museum of contemporary art and never look out of place, yet its sweeping lines, soft materials and metallic accents give it an elegant, almost female touch. It’s especially the Yellow and Rose Gold models that showcase the Zik’s design and while the Black Gold looks good, it simply doesn’t do the Zik’s design justice. We can imagine that a Black model with bronze or platinum accents or a dark Gray model with Platinum accents would look irresistibly beautiful. 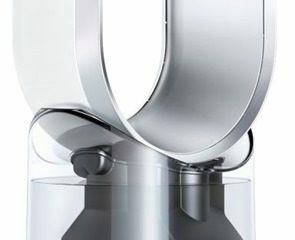 Parrot, please make it happen! 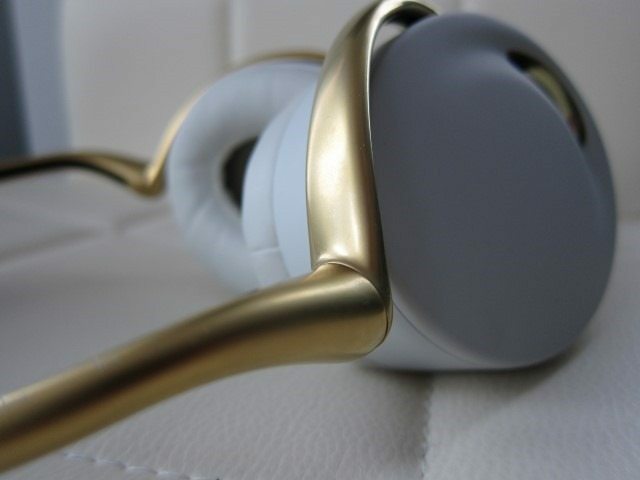 The Zik’s sculpted design, is quite the departure from the almost robotic, utilitarian black or brightly colored headphones that are all the rage these days. 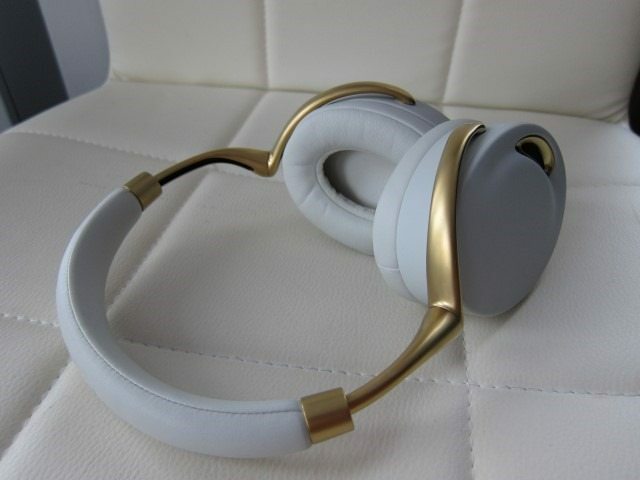 The Zik starts with a comfortable padded headband that gradually transforms into a sculpted metallic extensions that flows above and around the oversized ear cups, almost giving the impression of floating ear cups. The large “Parrot” logo on the headband does take away from the design. A smaller and less noticeable logo would have been more appropriate. From a purely design perspective, this is the only complaint you’ll hear from us. 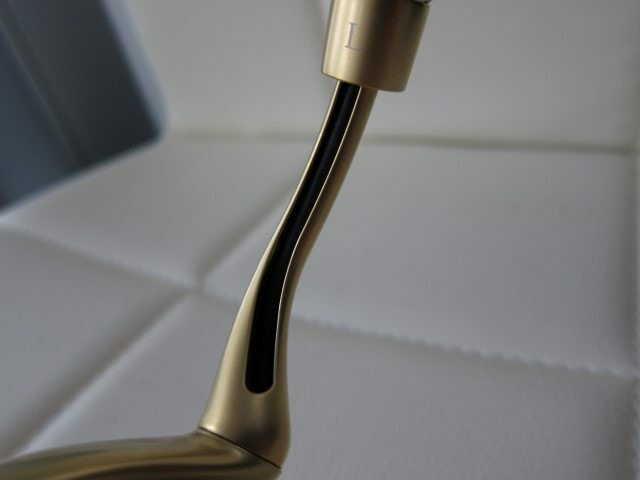 The highly sculpted metal parts use a dull instead of shiny finish, a smart decision, giving the device an elegant subtle look without being too flashy. The sculpted metal parts reminds us of bones or even the trunk of a bonsai tree and are from a design perspective probably the Zik’s most characteristic feature. 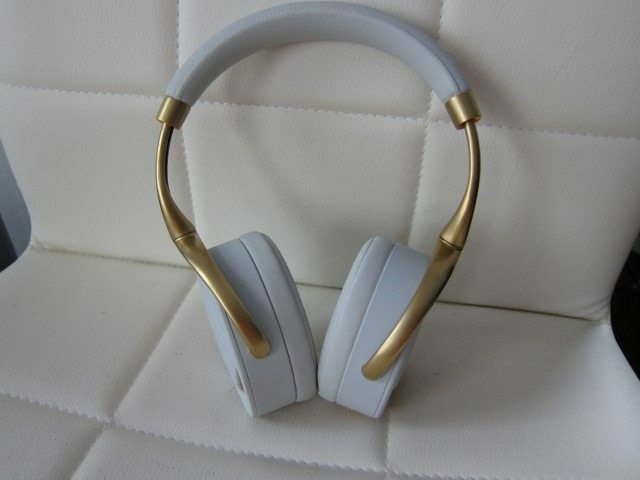 The head band and metallic extension that curve above and around the ear cups, also give these headphone’s their trademark compact look which in turn make the oversized ear cups appear bigger than they really are. At first sight the headband might appear to be short, but that’s the illusion and the look these headphones are going for. 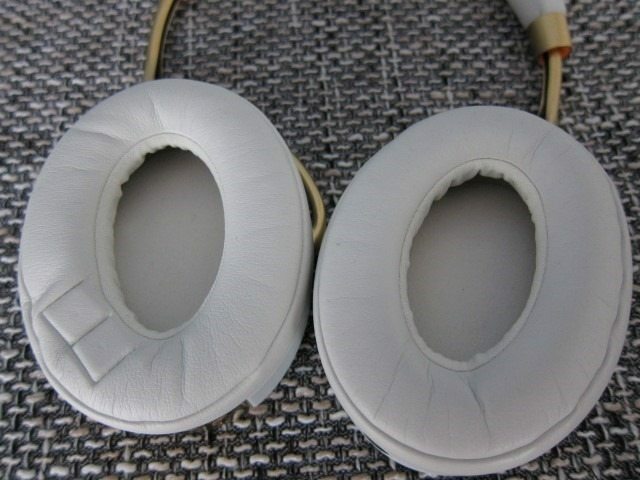 Luckily they extend and should fit most users comfortably, but the ear cups will sit pretty high up. 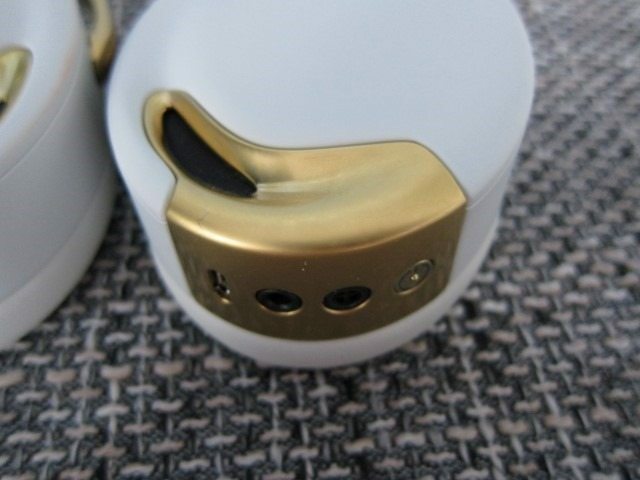 The external part of the earcups themselves are done in a soft, low-friction material that makes the touch controls quite comfy to use. 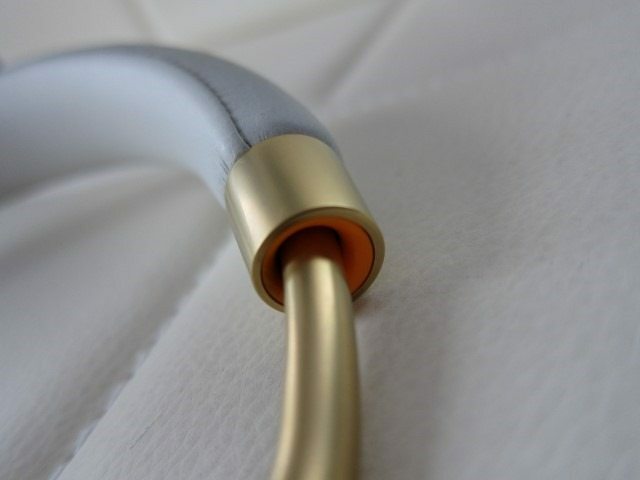 They also flow around the metal accents adding to the effect of a flowing liquid. 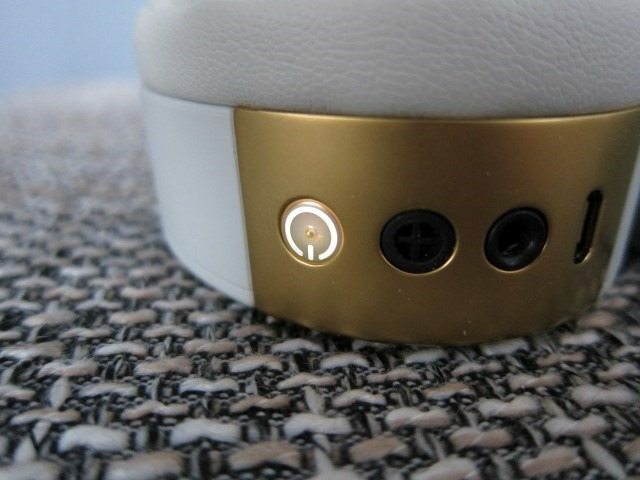 The ear cups themselves are oversized and go over and around the ear, making the Zik a Circumaural design. 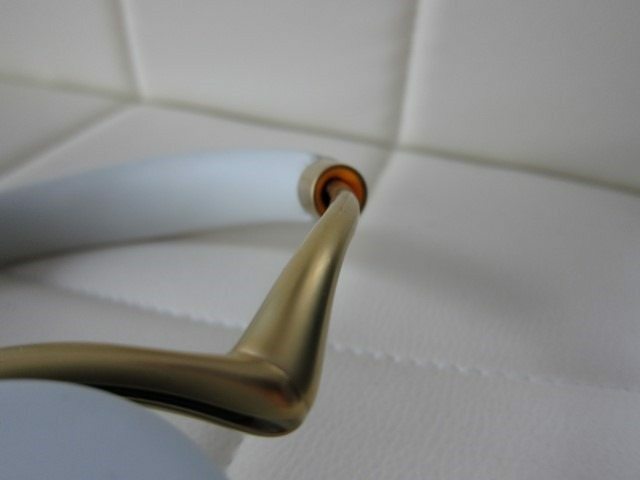 With the fit and finish of a luxury item, we were surprised that the left ear cup has a removable magnetic cover, giving access to the user replaceable battery. 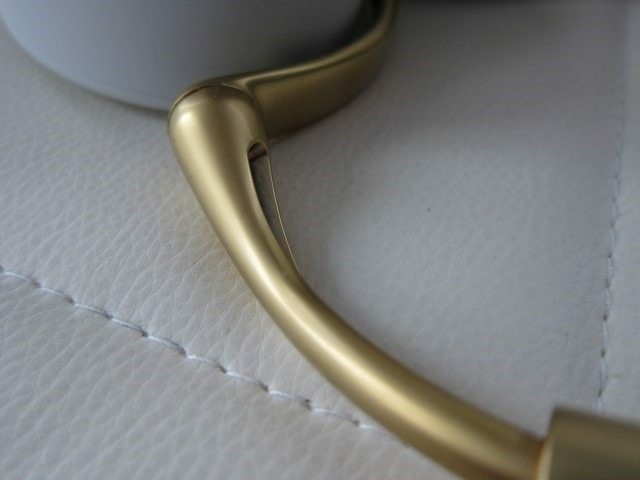 Despite having a detachable cover, the fit and finish remained impeccable. Using magnets remained in place without a single rattle or squeek. The ability to remove the battery is probably one of the Zik’s most underrated and useful features. Batteries loose charge over time and the ability to buy a separate battery down the road means that you’ll be able to use these headphones for years. It also means being able to buy an extra battery and keeping it charged up and simply swapping batteries when the one is empty. The battery itself is fairly compact and rated at 800 mAh. 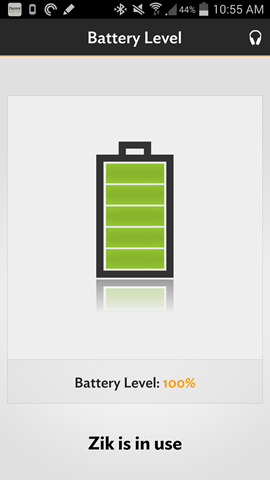 It’s also a crucial feature, since the Zik’s battery life is one of its weaker points. 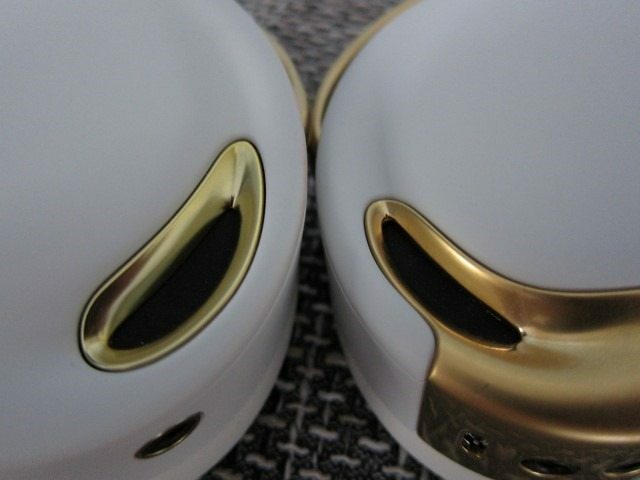 The metal accents surround a black area which at first appear to be functioning bass vent, but a closer looks shows that their nothing but cosmetic. On the right earcup we there’s the only button to be found on the entire unit: the power button. 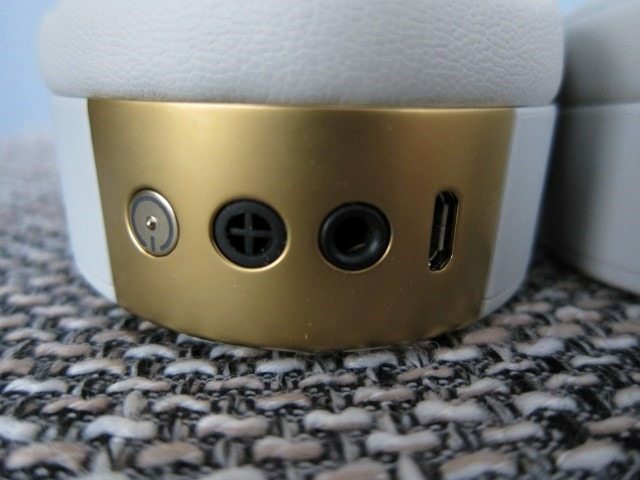 Next to it there’s the audio jack in case you wish the use the headphone in wired mode and the microUSB charging port, which also allows you to connect the Zik to a PC and do a fimrware update and also charge it. While both an audio and USB cable are included, missing is a charger, something we would have expected in this price range. 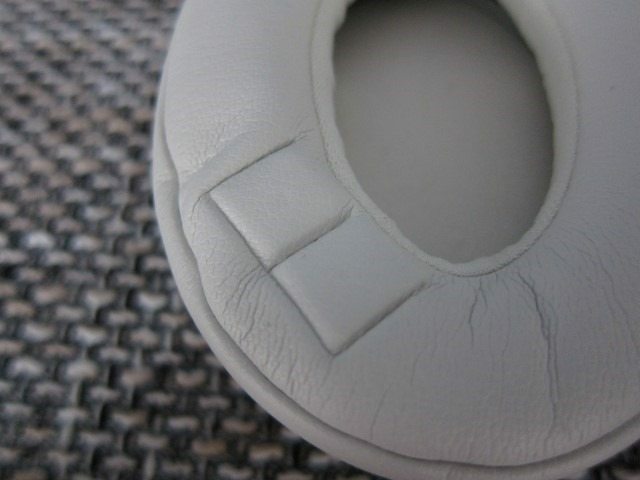 On the inside the earpads are extremely comfortable with a bit more padding than you’d usually find. This not only makes the Zik comfortable for extended listening sessions, but also surprisingly added quite a lot of sound isolation. On cold days these also proved to be quite effective in keeping your ears warm, but can get quite uncomfortably steamy on hot days. Last item worth mentioning is the carrying pouch. After seeing such an impressive design-centric headphone, the cheap carrying pouch is accented is even more. While it does offer some protection it simply isn’t up to the standards by the Zik. 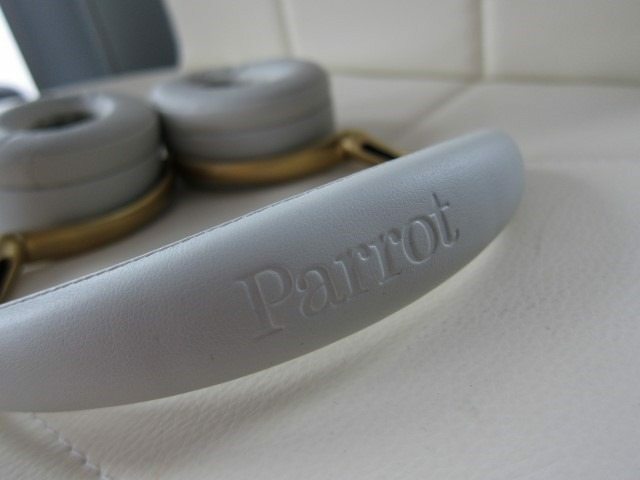 Other premium headphones from Bose and Harmon Kardon include much nicer carrying case and we think Parrot should have done the same. They do offer one as a separate accessory for $39.99. When I first started using the Zik it sounded dull and flat. 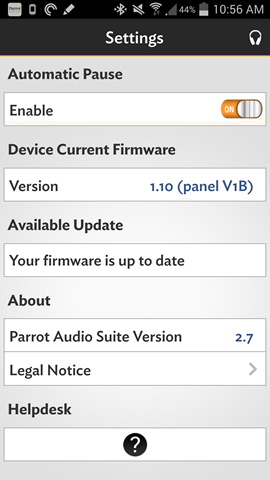 In fact the Parrot Concert Hall feature is enabled by default. I really don’t like these effects as they sound unnatural. Installing the app and tweaking the audio to my liking, the audio came alive. A night and day difference. 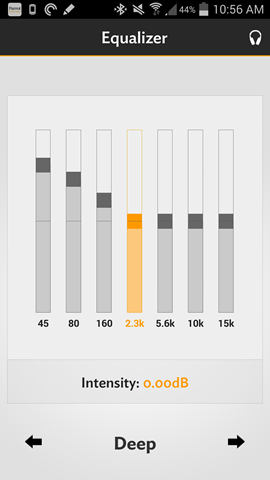 Simply put, when it comes to audio performance you need the app, at least initially to get it tuned the way you like. It’s the only way to turn certain features on or off and doing a firmware upgrade. As a result, an iOS, Android or Windows Phone device and the app are essential. Without a smartphone, we recommend you looking at more traditional headphones. The Zik can not only be programmed with the app, but the fact that it remembers these settings even after you’ve uninstall the app, it appears to have some kind of internal memory where settings are stored on the headphone itself. 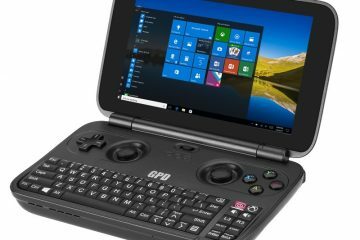 This also supported by the fact that you can connect it to a PC and it will basically be recognized as a USB drive unto which you can drag and drop the firmware upgrade file. The app is well designed, stable and has a pretty straight-forward layout. It loaded quickly and on our Note 3 we never experienced a crash. There’s an equalizer, it shows the battery level and you can turn the Active Noise Cancelation on or off. The Parrot Concert Hall basically adds ambient effect like Concert Hall and Jazz Club, but if you’re a purist like me, you’d know that’s one setting that will remain off. 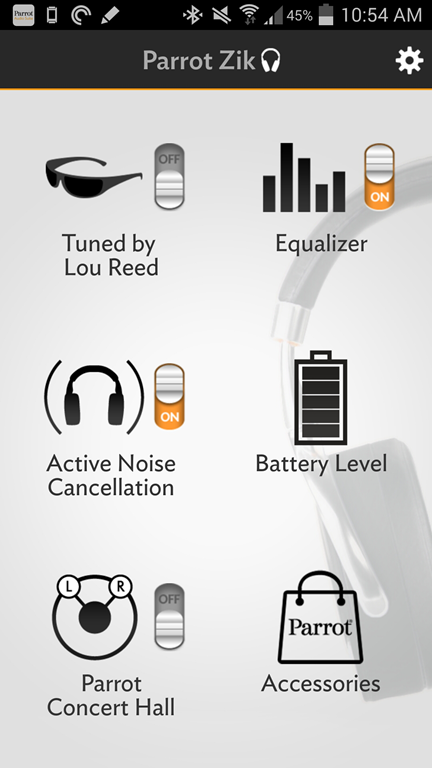 An interesting addition is the “Tuned by Lou Reed” options. Parrot teamed up with Lou Reed, who basically tuned the headphone to his specific standards. It sounds alright with a bit too much room ambience for my liking, but it’s not bad. 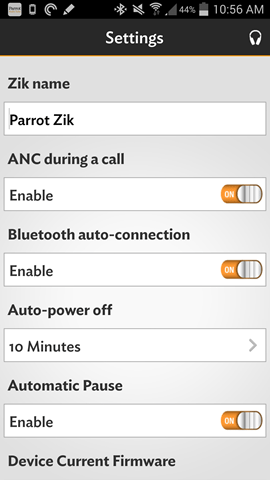 Going into the settings you’ll get even more options like the ability to program your Zik’s name that other devices will see when pairing, enabling Active Noise Cancelation during calls and Bluetooth auto connect. I also liked the fact that the app automatically prompted us to update the firmware, potentially fixing potential problems and even adding features. Overall I really liked the app, it’s fast, stable and has an attractive and straightforward layout. It makes a huge difference when it comes to the audio quality and for those who love to tinker, you can adjust just about every single feature with enough options here to keep things interesting. Audio purist and those who like to keep things simple will love the ability to turn almost every feature off. The Zik is very app-centric: Putting so many important functions on the apps, also makes having a smartphone (and the app itself) not a feature, but necessity if you want to get the most out of it. When it comes to audio, cables are usually a requirement for aural perfection. 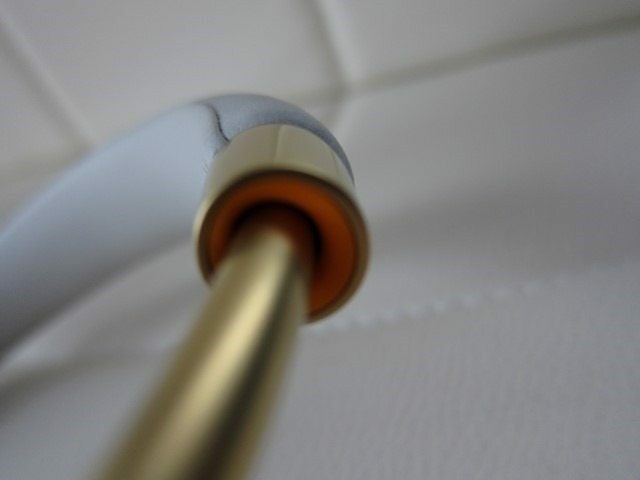 The Zik seems to do things the other way around: while its wireless audio performance left us really impressed, its performance using the included cable was uninspiring, almost making you think you were dealing with a totally different headphone. 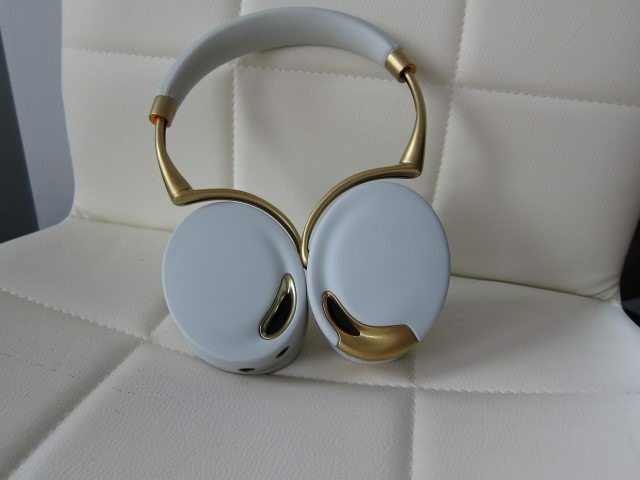 Luckily most potential buyers will buy the Zik for its wireless abilities and leave the cords for those rare moments. Considering the Zik’s less than stellar battery life, maybe more work should have gone to its use as a wired headphone, even if most users will never even use it. But let get one thing clear: The Zik sounds great, even more remarkable considering this is done using a wireless connection. When I initially started playing I was unimpressed, the sound was too flat lacking any dynamics. Installing the app, updating the firmware, adjusting the equalizer to my liking, giving it a break-in period and the Zik jumped alive. I was in love. The Zik is good, actually really good and should impress 98% of users out there. That other 2% requires reference quality performance and reference quality the Zik is not. It’s definitely not the reference stuff you’d get from In-Ear-Monitors or large circumaural headphones that require portable amps. On the other hand In-Ear-Monitors are inconvenient and have cables, while large reference quality headphones costs twice as much, are not as stylish, require portable amps, are heavy and use cables. The Zik is more of an all-rounder, the complete package if you will with the emphasis not being only style and convenience, but it’s very much a capable performer. And perform it does, hitting you with a strong, dynamic performance that doesn’t even break a sweat. With plenty of headroom on tap, it hits the lows with thunderous and detailed bass, yet is capable of turning around and going for delicate highs. Even more impressive that this is maintained at high volumes. The sound can be characterized as in your face, dynamic, dramatic and meaty. It’s not neutral and laid back, characteristics you’d find in reference headphones. But here’s the thing, most people like this more dramatic, dynamic sound. A good analogy to illustrated this is digital imaging. While cameras that capture neutral colors are more true to life, people seem to enjoy the more dramatic bright, saturated colors. The Zik is the aural equivalent of this last category. It effortlessly hits the highest notes in Mozart’s Eine Kleine Nachtmusik, able to achieve 95% of those earsplitting, sinus-clearing highs you’d get with IEM. Not the best, but impressively close. Voices and dialogue sounded natural while watching an episode of The Walking Dead, but the real fun is the bass, right? The Zik definitely doesn’t disappoint here, adding depth and hitting those deep notes with such ease, making it difficult to believe this was coming from a wireless headphone. Performance-wise, there is nothing to complain here, it sounds amazing. There’s just one catch, you need to the app and probably a break-in period of a few days. While the Zik is impressive, it’s not perfect. 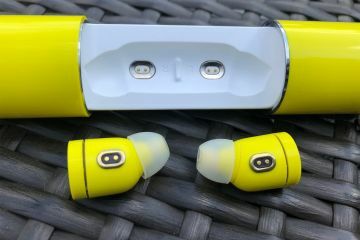 Wireless range is average and battery life is less than half of the Purity Pro by Monster and Nokia, another good wireless headphone. 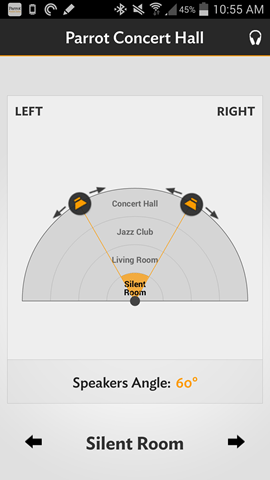 The Purity Pro is capable of continuous 24 hour playback, while the Zik averaged around 8 to 10. We really would love to see a bigger battery, at least 1000 to 1600 mAh in future versions. If they manage to squeeze this in the same frame as current, it would again just be a matter of swapping batteries. In the mean there’s always the option of buying a second battery. Which also leads to the following: since the Zik’s battery are user replaceable, Parrot should introduce an external battery charger. This is something I’ve been doing for with my smartphone’s and is very convenient. 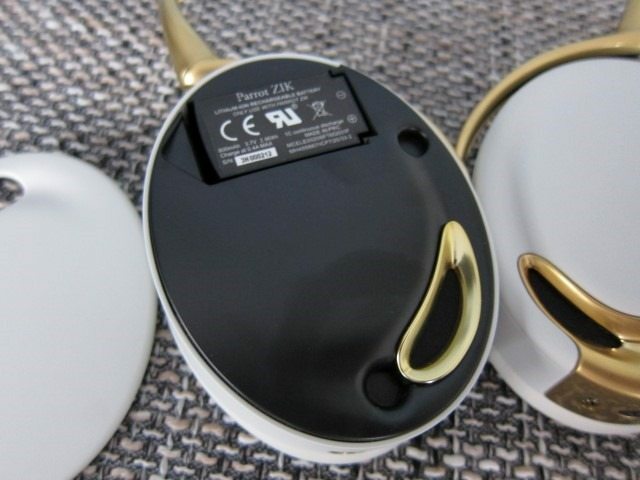 The idea is that you put the battery into an external charger and connect to power out let, all while you’re using your device. Afterwards it’s just a matter of swapping an empty battery with fully charged one. Obviously we don’t expect Parrot to include this in the package, but this would be great as an optional accessory. Performanse wise, I also noticed that enabling Active Noise Cancelation, enabling the “Deep” settings in the equalizer and playing at high volumes caused some distortions, clearly showing the Zik’s limit. I really like the Zik, so much so that I will probably buy it with my own hard-earned cash. 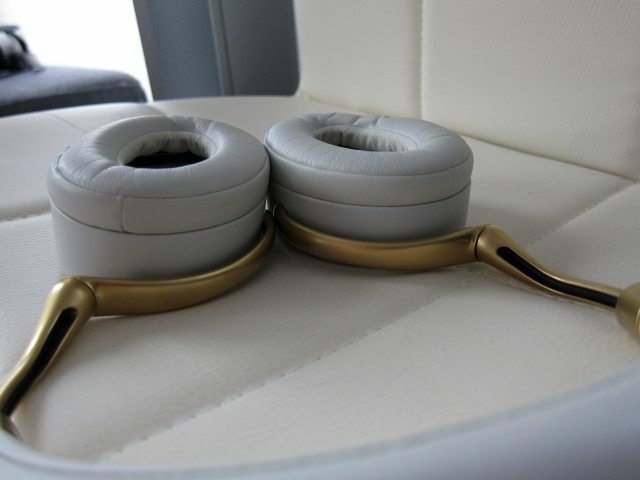 It’s the most beautiful headphone I’ve ever seen and will definitely turn a few heads. 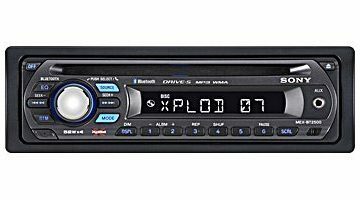 The sound is equally impressive, with a dramatic, meaty sound, effortless , with lots of headroom, but if you’re looking for reference quality you should look elsewhere. The Zik is feature-laden with exotic features we haven’t seen on other headphones like the jawbone sensor and the motion-sensor. The ability to change battery is a value feature and we hope Parrot increases the battery capacity ideally to around 1600 mAh and creates an external charger. On the other hand, the Zik is not perfect: the battery life is less than what competitors offer and the included pouch doesn’t do the Zik’s design justice and at this price range there’s simply no excuse for not including a wall charger. 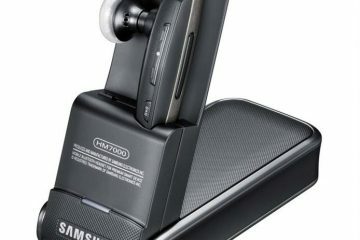 We were also a bit stunned that its wired capabilities simply arent on the same level as its solid wireless performance. Despite underperforming when using it as a wired headphone and battery life, it’s design, wireless performance and features makes it the best wireless headphone on the market today and gets a 9.8 out of 10. · Included pouch is on the cheap side. 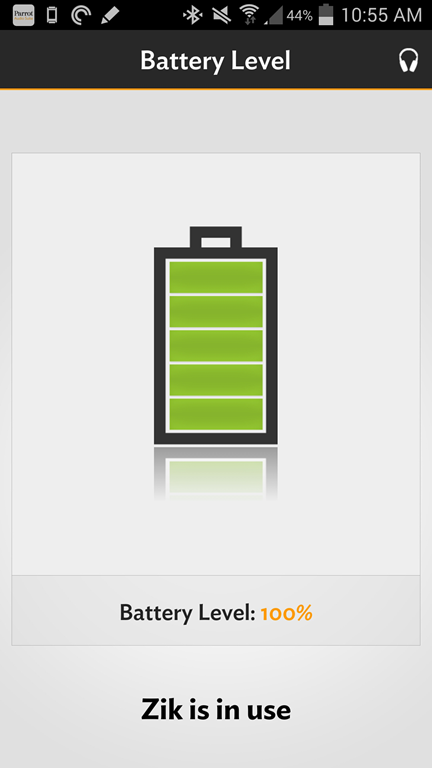 Try http://www.zutcharger.com for an external battery charger designed for the Zik.